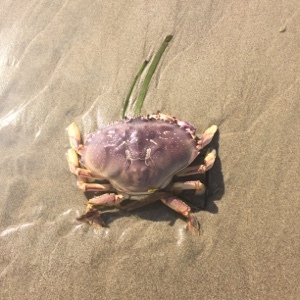 We spent the last of our ocean days at Cape Lookout State Park near Tillamook. In hindsight we should have spent more nights here and less around Astoria. The only reason being that this is the best walking beach, in our opinion. But it's a hard choice to make! At any rate all the beaches have been near perfection and no regrets. Again this has been a relaxing stop with not much excitement to report. 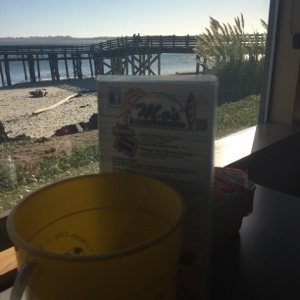 We made a visit to Mo's Restaurant to fulfill our clam chowder cravings. 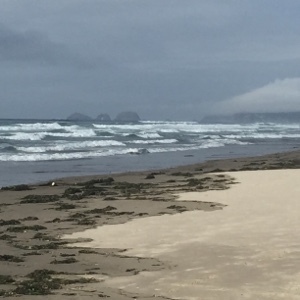 This is a must stop if you are on the Oregon Coast. The weather here was outstanding and we had a great evening visiting our neighbour over the glow of the fire pit, sharing stories of American and Canadian health care and life. 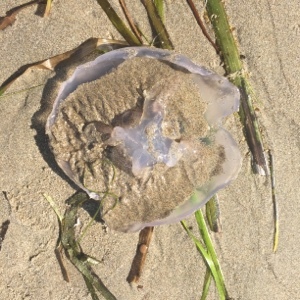 Look at some of the life we found on the beach. But as always the best part was being together and walking the ocean beaches. 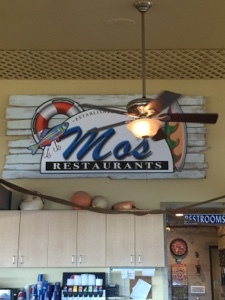 As always another great stop.